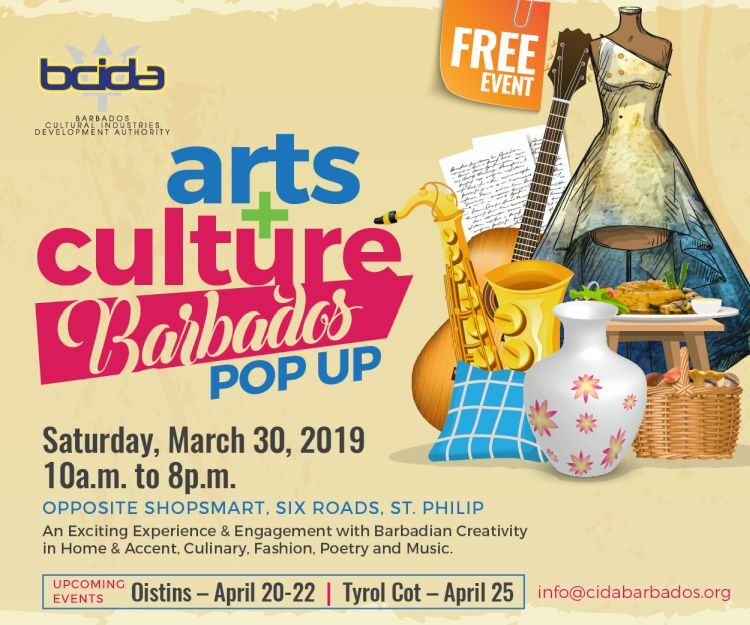 The Barbados Cultural Industries Development Authority (BCIDA) presents the 2nd Edition of Arts and Culture Barbados Pop-Up Event. On Sat Mar 30th from 10 am to 8 pm. This event will give both locals and visitors to our lovely island a chance to experience our various local art forms up close, engage directly with the artists and purchase high quality one-of-a-kind Barbadian products.